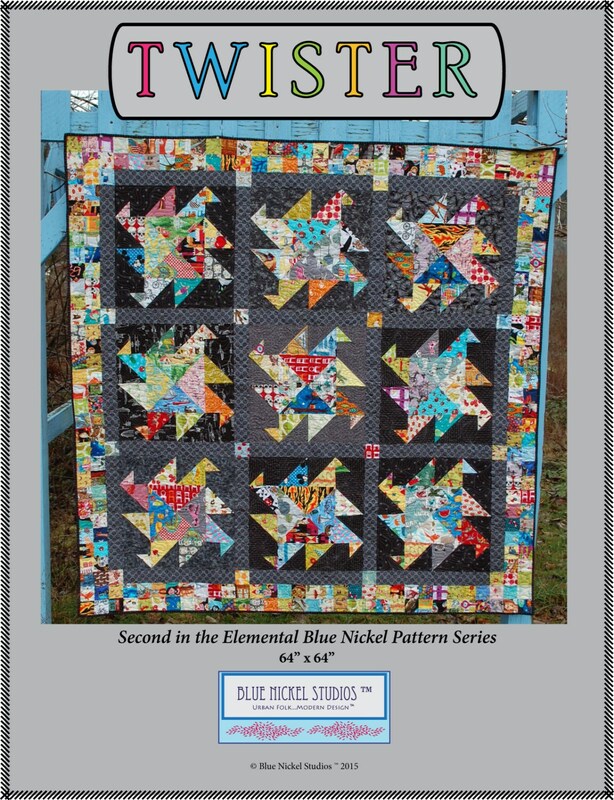 Twister is the second in the Elemental Blue Nickel Series, a series of quilts designed around the Four Elements of the Earth, Earth, Wind, Water, and Fire. 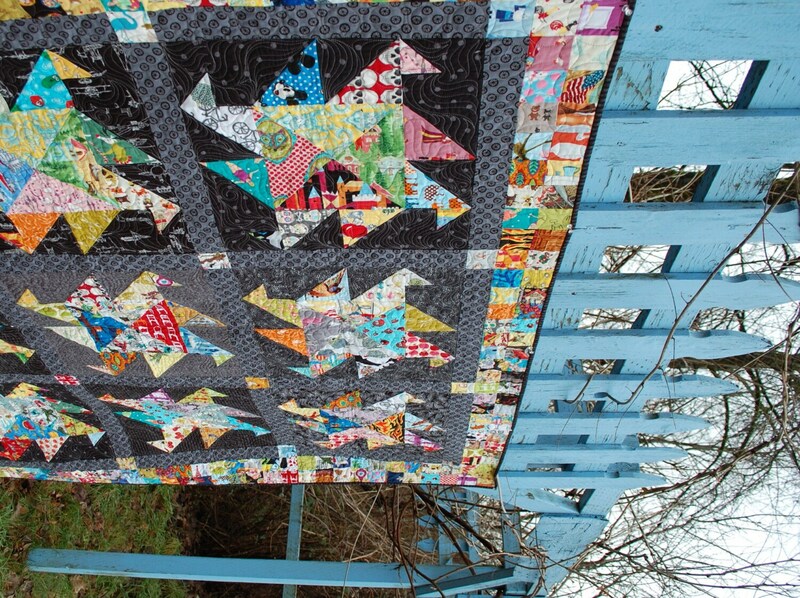 Twister falls under the jurisdiction of Wind. And though actual twisters are ominous, fierce, and even deadly, this Twister seeks to delight. 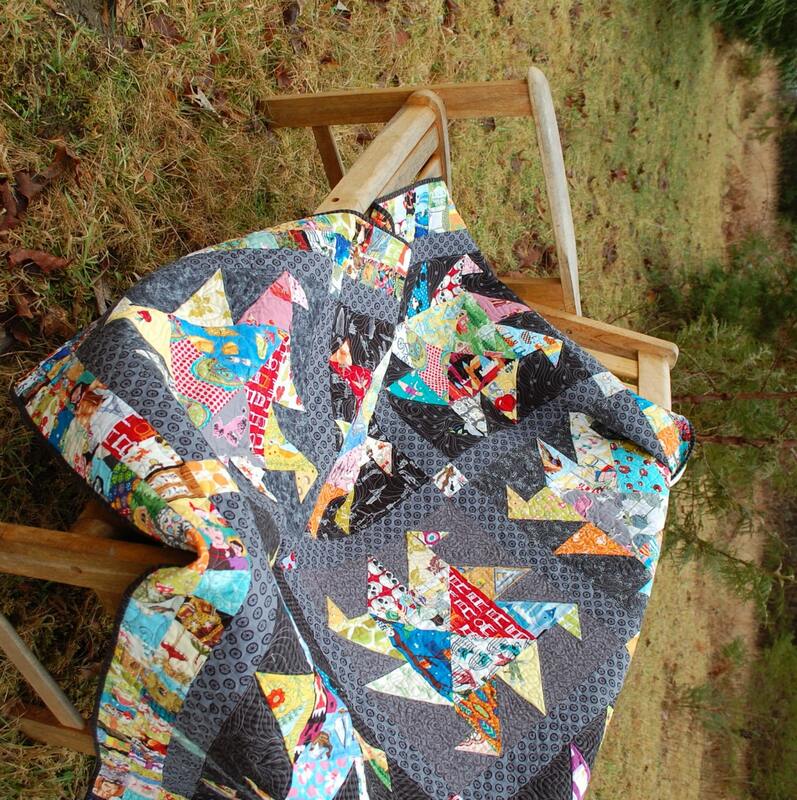 Using a twirling, traditional feeling block as a starting point, this quilt incorporates all of your favorite novelty fabrics to create an exciting and dynamic “I-Spy” type quilt. 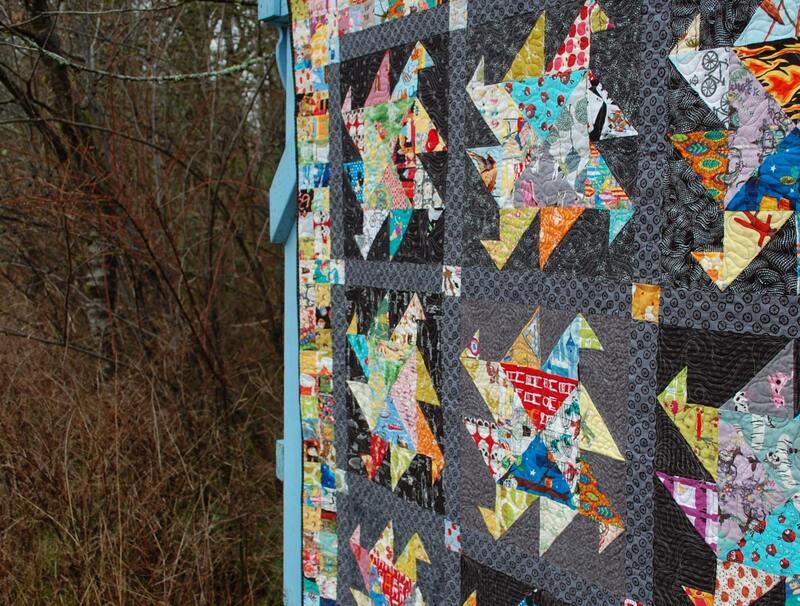 Gather up your favorite novelty prints for a spin in this modern take using the traditional quilting elements of basic squares and triangles. 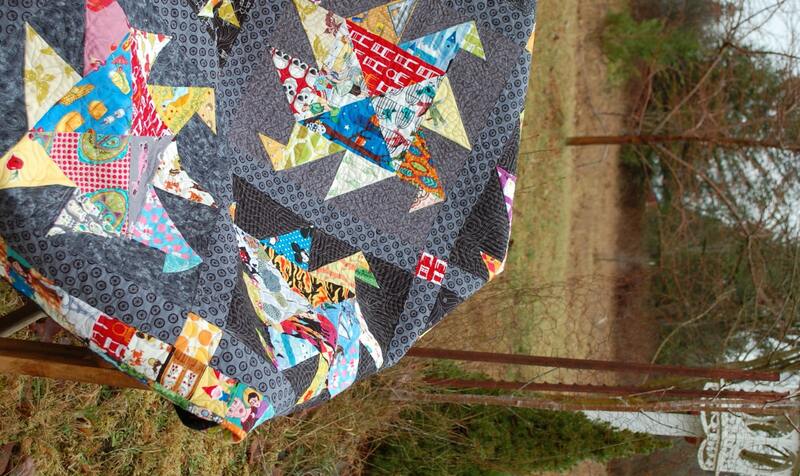 Twister is the perfect quilt to create for friends and family from one to ninety-two. Finished Size 64" x 64".